At Billy Goat Moving & Storage in Fort Collins, we know that moving to a new house or apartment can be stressful. What can be even more stressful is discovering things about your new place that you didn’t know before you moved in, such as problems with the plumbing or that the previous tenant had more cats than you realized. As your Colorado moving company, we can get your things safely from your old place to your new one, but we also want to help you feel comfortable in your new home. In this post, we’ll look at three things you wished you’d known before you moved in. If you’re buying a house, then you’re going to have a home inspection that reveals any issues with the plumbing, the lighting, and the foundation. The seller must disclose any problems that exist, since they can impact the property value of the home. If you plan on renting, then you could be taking a gamble when it comes to what the landlord will tell you about how the place was treated by the previous tenant. It’s usually pretty obvious if there are holes in the drywall or the bathroom light won’t turn on, but it’s always a good idea to ask how the previous tenant did, or did not, take care of the property. If you’re moving to a nearby neighborhood, or across town, then you probably have a good idea of what your monthly utility payments will be. However, if you’re relocating to a new town or city, then it can be smart to look up the average utility rates for electricity, gas, and water. 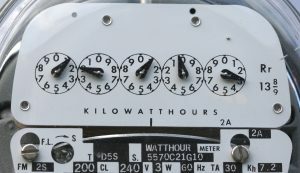 The last thing you want is to be surprised by that first bill, and if you’ve ever moved without checking into utilities, you may have been shocked by how much you owed. When looking at new houses or apartments, you usually view them during the day. This often means that the neighbors aren’t home, and the realtor or landlord will likely tell you that the neighbors are quiet and friendly. The realtor or landlord obviously wants you to move into the property, and it may be true that the neighbors aren’t loud and obnoxious. However, if it turns out that your next-door neighbor plays their music at a high volume in the middle of the night, then you might be having an awkward or confrontational conversation with them. You’ll wish that you knew more about your neighbors before you moved in, otherwise you may have kept looking. Before you move, take the time to drive through the neighborhood during the evening, when people are home, to see how lively or noisy it can be. At Billy Goat, our goal is to help every customer get their belongings from their old residence to their new one, and it doesn’t matter if you’re moving across town or across the state – we can handle your move. Hopefully this post will help you think of some questions you can ask regarding your new residence or neighborhood, so you don’t experience any surprises after you move in. We’re proud to serve the entire state of Colorado, and we can help you schedule a moving date that works for you. We can move everything in your house, including pianos, safes, and valuable artwork. Contact us today by calling (970) 541-9121, or by using the button below. We’re available Monday through Friday from 8:00 a.m. to 5:00 p.m., and a member of our team is always ready to answer your questions.